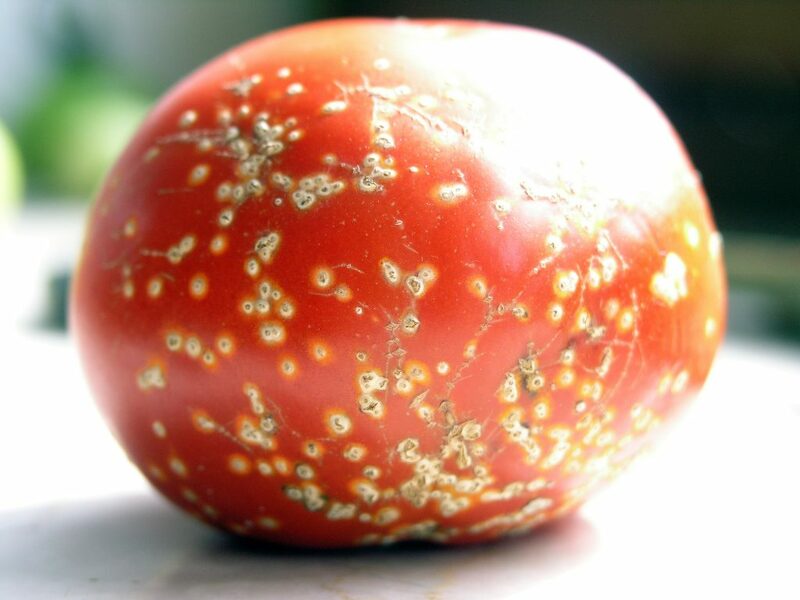 Organic and affordable disease protection for your crops! Learn the advantages of using our UV Light Kit in your garden! 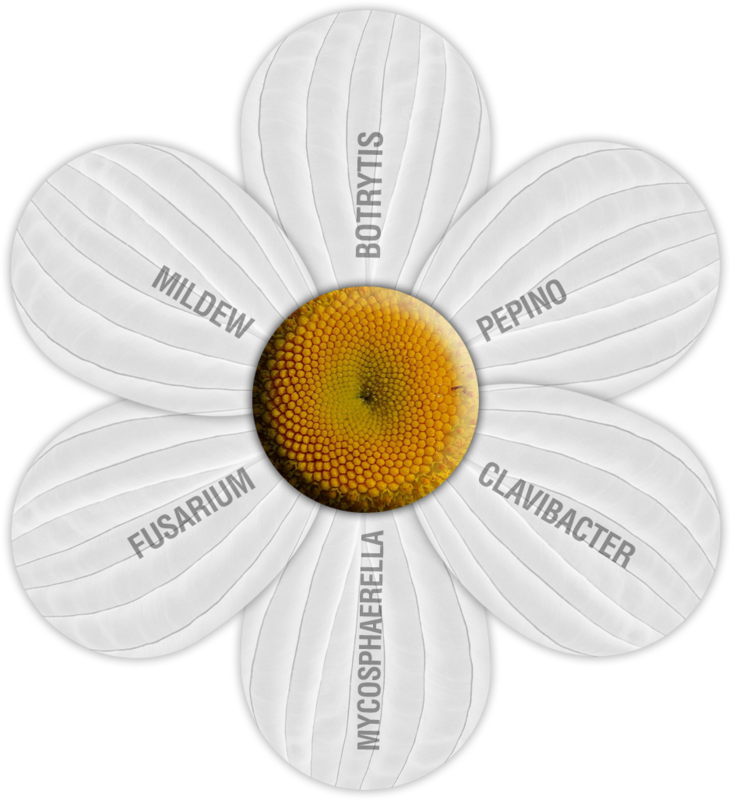 Click on the flowers petals to learn more! 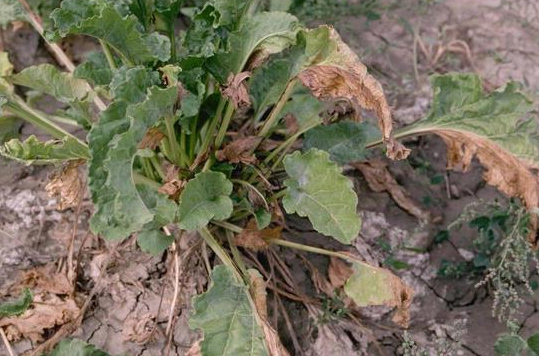 Treatment of mildews is easy. The use of a low dose of CleanLight every single day kills off the mycelium. 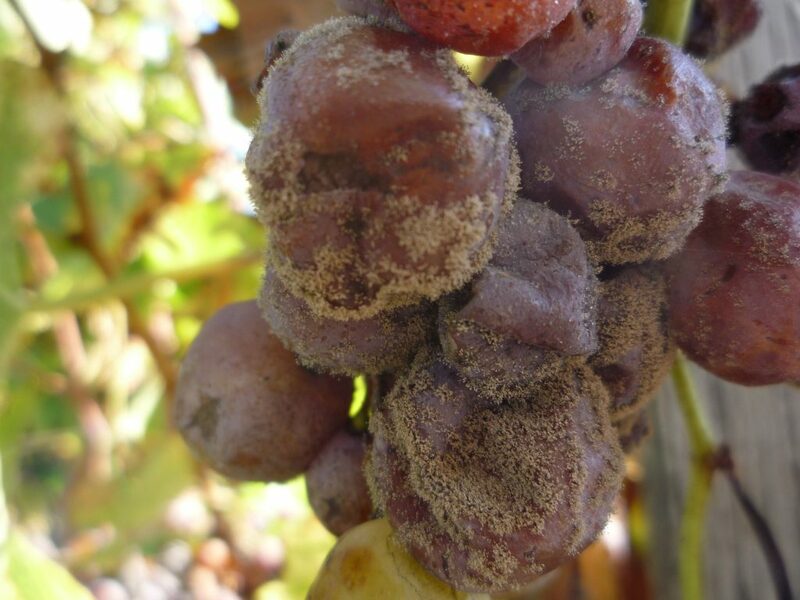 Botrytis grows on dead plant material and can enter the plant via a small wound. Successful treatment involves daily dosing with the CleanLight. These viruses have a low CleanLight tolerance. 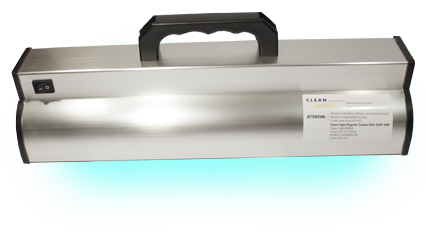 Daily CleanLight treatment stops the spread of viruses or bacteria. 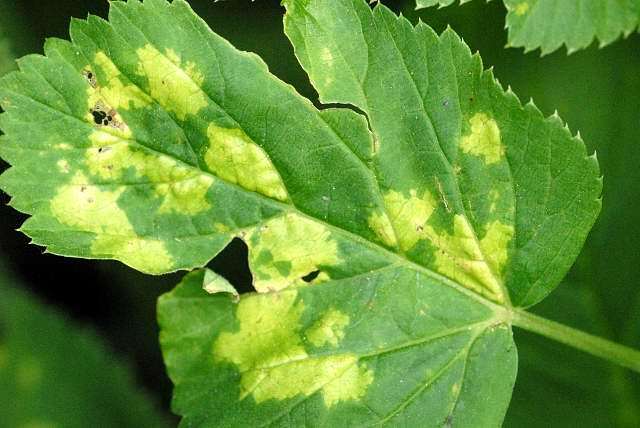 Dealing with these pathogens requires a different use of the CleanLight treatment than the usual method. This innovative technology prevents fungi, bacteria and viruses on all crops. 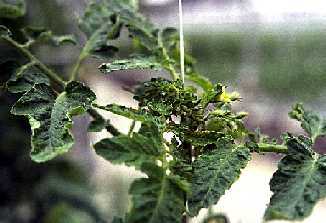 When your plants aren’t having to battle disease they’re healthier, bigger and provide greater nutrition. No more harmful and expensive chemicals to spray! This provides a huge cost savings in addition to the health benefits to you the producer. Whether you’re a hobby gardener or a professional farmer, we have a CleanLight application designed for your needs. UV Garden Solutions presents the CleanLight Hobby and Pro Units. These bacteria and viruses are killed without the use of any chemicals or toxins. CleanLight works by generating UV-C energy. This energy is produced at the exact frequency of 254 nm (nanometers). This frequency breaks the DNA bonds in single-celled organisms and they cannot develop. To use, you simply scan each plant daily. It only takes a few seconds for each plant. CleanLight currently has professional horticulture installations operating in more than 20 countries. Clean Light handheld products are plug and play products that are easy to use. Clean Light supplies products for UV protection, UV air purification, water purification UV & UV surface disinfection. Clean Light is a special UV light which is just strong enough to fungi, viruses and bacteria and not harm plants and crops. Clean Light is therefore an organic and environmentally friendly method to fight diseases. Clean Light is natural sunlight which results in increasing the resilience and quality of plants. Because CleanLight leaves no residue on the plants and crops can be used in all stages, even just for harvesting. This is very relevant for edible crops. Clean light can be used on all plant and at all stages. 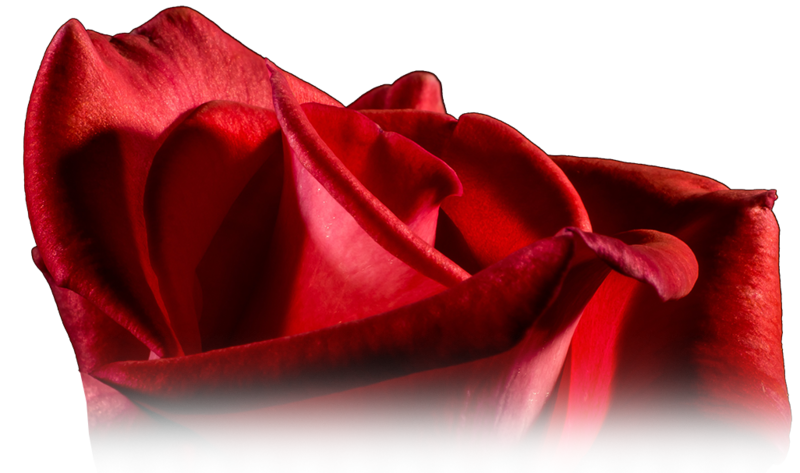 One question that is asked repeatedly is: Why do I have to scan my plants daily? The answer lies in an analogy. Brushing your teeth daily helps prevent cavities. Brushing your teeth occasionally will not help prevent cavities. Just like brushing your teeth daily, applying the CleanLight treatment daily and you will not have powdery mildew or bud mold.Cloning environments can benefit from the Cleanlight treatment. Using the CleanLight results in young plants developing more robustly, due to the reduced pathogen environment that the CleanLight generates. A major bonus of using the CleanLight is that plants treated daily develop a healthier look and appear to have more bushier growth. Our slideshow illustrates these differences. It appears that the extra daily UV dose helps to create growth which looks like outdoor growth, in an indoor garden! Also, because the CleanLight treatment inhibits fungus growth, Fungus Gnats are no longer an issue! UV Garden Solutions is also pleased to announce that for larger garden operations, we have CleanLight equipment available that can scan operations as large as 15 acres. We offer CleanLight UV carts and CleanLight modules that attach to light movers for automatic scanning. We can also supply CleanLight water and air UV units. We can also provide design and implementation for custom applications. We work with CleanLight personnel to provide UV solutions that are clean and ethical. 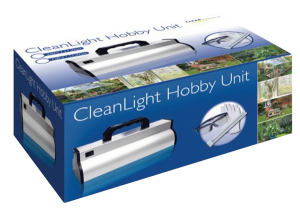 The CleanLight Hobby Unit is designed for use in a small garden. The unit uses an 11 watt UV-C bulb. The unit weighs 2200 grams (5 lbs) and is 300x120x120 mm (12″x5″x5″) in size. 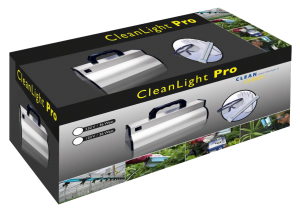 The CleanLight Pro Unit is designed for larger gardens. It uses a 33-watt bulb. The Pro unit weighs 5 lbs and is 45cm x 21cm x 21cm in size. 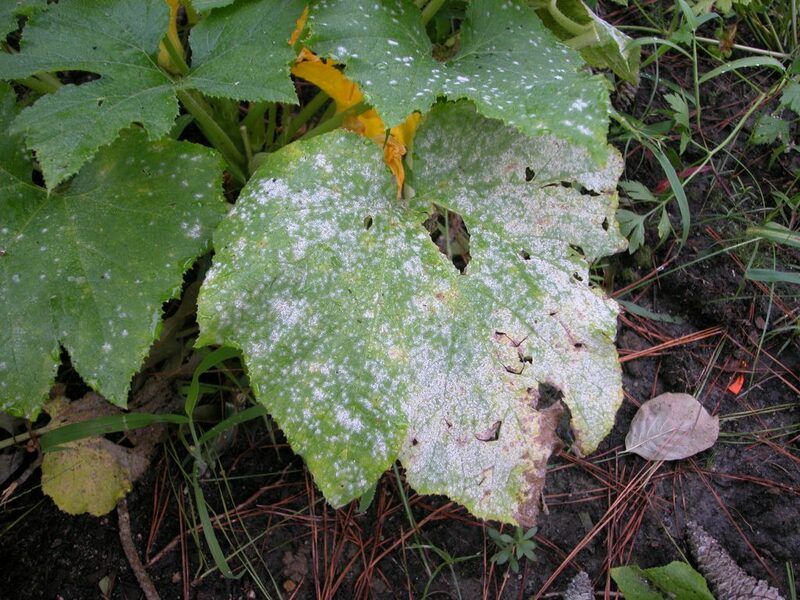 This allows for faster scanning rates and deeper penetration to prevent powdery mildew. bud mold and more. DEALER LIST – DEALER INQUIRIES INVITED!